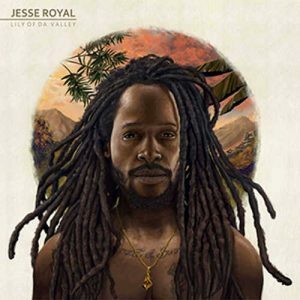 Jesse Royal is one of the brightest stars in music today. 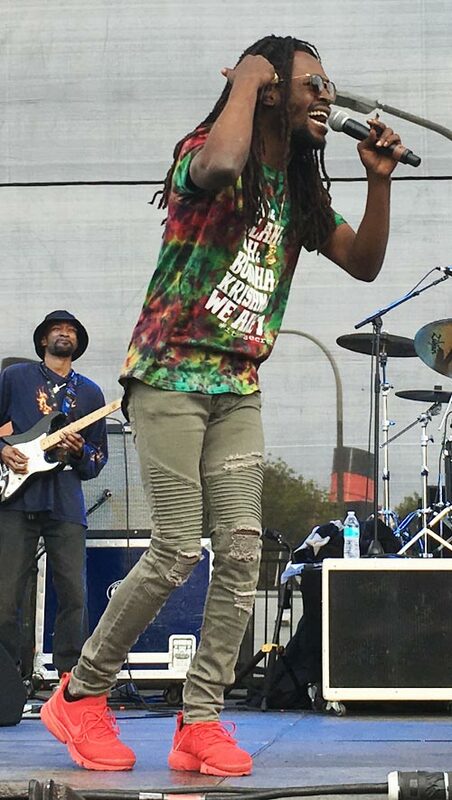 Cutting edge and conscious, Royal, a Rasta singer “affectionately known” as “The Small Axe,” exudes a regal presence on stage and in person. 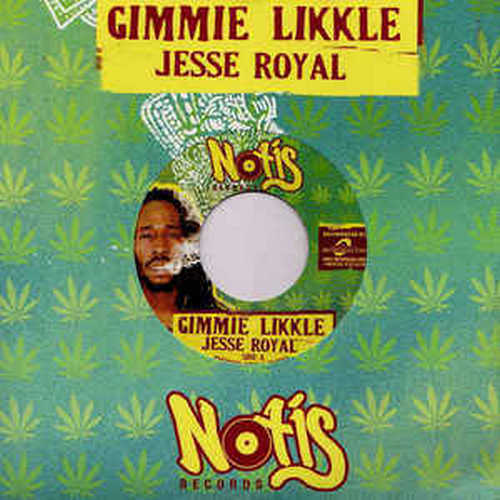 Versatile, with oversized talent and an ever-growing discography of unique and rootical hits–including the occasional love song and homage to the blessed herb–it is only a matter of time before Royal ascends his rightful throne in reggae. 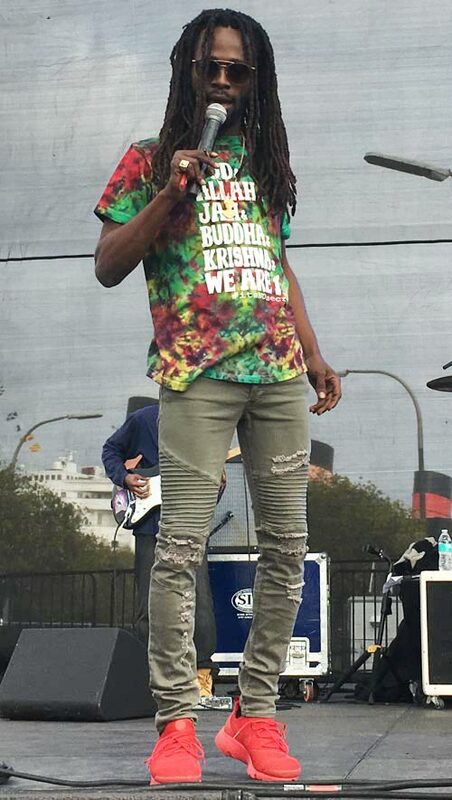 Indeed, just recently, on February 10, 2018, like a lion on a crisp, cloudy afternoon in Long Beach, California, Royal ruled over a talent-rich pride of reggae artists at the One Love Cali Reggae Festival; his sizzling, standout performance–delivered to the joyful, red, green, and gold adorned reggae massive–will be reminisced about, reflected upon, and above all, fondly remembered, possibly, forever. 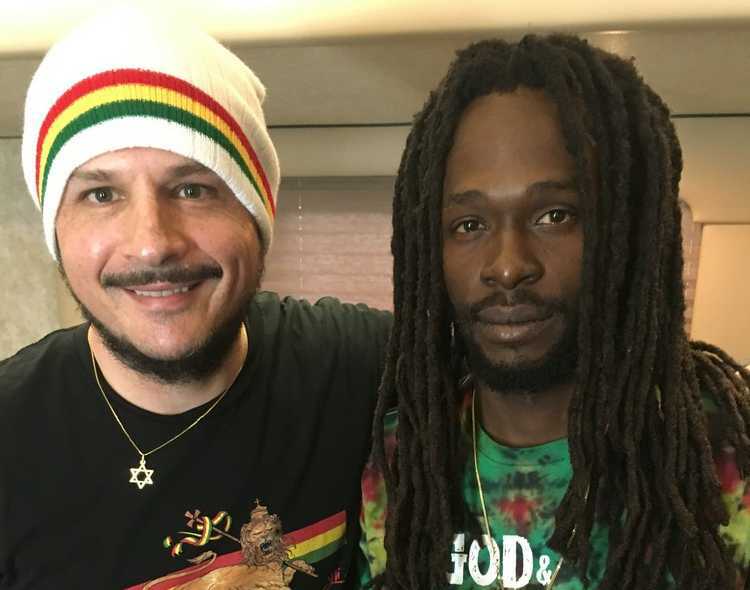 Afterwards, in a cramped, austere trailer and makeshift dressing room backstage, bespeaking the often unglamorous reality of life as a touring reggae star, Royal held court with me. The many topics we discussed included: the level of support for reggae music by the Jamaican government; the making and release of his red-hot debut album “Lily of da Valley,” politicians in Jamaica and their approach to crime; his becoming a Rasta despite having been raised in the Baptist church; marijuana; and the controversy surrounding the Grammy award for Best Reggae Album. What follows is a transcription of the interview, modified only slightly for clarity and space considerations. Give thanks for taking the time to do the interview. Wonderful performance today; the crowd really enjoyed it! Mi glad them could enjoy the experience, you know? Congratulations also on the October release of your debut album, “Lily of da Valley”, you played many songs from it today. Yeah. We play a couple: “Rock It Tonight,” “Roll Me Something Good,” “Generations,” “400 Years,” [“Modern Day Judas”], [and “Finally”]. They didn’t give you enough time [on stage]? Yeah. I mean, everything in time is time, and then there’ll be another time. Now even though “Lily of da Valley” is your first full-length album, you’re hardly a rookie on the professional reggae music scene. Don’t you agree? We’re always learning. And we always see ourselves as continuously evolving creatures, you know? I wouldn’t call myself a rookie. We are still some youths where, I learn as we go and [I am] getting the blessing from all the elders who pave a path forward. So mi kinda know where fi walk. But we’re still defining ourselves with each album, each experience, and each show. We know life. But we still have a whole lot to learn. Because life in itself is such a lesson. Respect. The reason why I bring this up is because you’ve been on the professional reggae music scene for years. At least going back to 2013, and possibly earlier, your music has been popular in Jamaica and internationally. So, because I think everyone would agree you are experienced and knowledgeable about what is happening in reggae music, I want to ask you about something Tony Rebel, reggae star and founder of the famous “Rebel Salute” (music festival in Jamaica), said to a journalist over 26 years ago. In an interview printed in a book called Reggae Island [by Brian Jahn & Tom Weber], first published in Kingston in 1992, Tony Rebel said: “I think those people who are in authority in Jamaica should place some effort around our music, in order to give it exposure, or show that they appreciate and love the way the music is heading. They don’t seem to know the significance of the music. 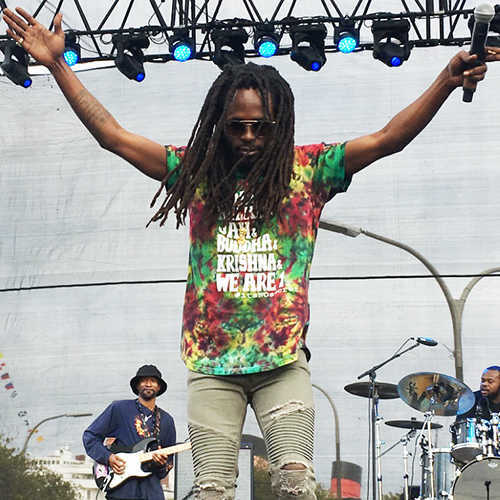 They put the least effort around reggae.” 26 years later, as one of the top young reggae stars from Jamaica, would you say the situation has changed at all? No man, the situation is still the same. But because we a deal with truth, we know we must get up and fight. Once you deal with truth and rights, you go and get a fight. That is the reality of life. You know what I mean? So we can echo those sentiments [of Tony Rebel’s] today inna 2018. Because no matter wah gwaan, everything we a see gwaan is individual effort, collective thought, and sheer willpower. [There’s] no help or anything from anyone out there you know – government or anyone – [that] seems to know the value of word, sound, and power. Only want to use it when it is advantageous to them, and dem rasclat plot or scheme. [In the same interview] Tony Rebel said that nothing brings in as much tourism or needed foreign exchange [to Jamaica] as reggae. Not even plane tickets, Iya. But, whatever progress them a deal with, mi give thanks for that. ‘Cause you have some individuals who genuinely seem to care about the music. And want to do certain things, but look like them themselves a get a fight. And sometimes dem themselves don’t even know what to do. And as I said, we [don’t] have to tailor the music for anybody. So, it a go hard fi really, you know what I mean? Them [don’t] really and truly associate themselves with people [that] highlight the hypocrisies in their systems. You know? Why did it take you so long to release your first album when you had been so popular for a long time? Was there anything in the Jamaican music business, something concerning the level of support from the Jamaican government you received, or something else altogether, that [prevented] you from releasing Lily of da Valley earlier? It really is just time, space, energy, and effort. And gaining knowledge and the wisdom. And applying it. You know what I mean? As well as, really, like you say, gathering the resources to really put forth a project where you can [be] happy with [it], you know? And this project we also partnered with Easy Star [Records] where distribution is concerned. [Easy Star] is a company where we really respect their work ethic. And how them operate. So, we did see fit to do a partnership with them on this project. But everything takes time. I can’t sit here and complain about “when.” All mi know is when we release it was when the time was right. And whatever it took for us to get to that point, is exactly what it took to get us to that point. And we will never knock that. We give thanks for all of that. Because, if I and I’s face never hit the dirt sometime, I really wouldn’t know what this right now [is] worth. You understand? Yeah man. If you don’t struggle, how you build the muscle? Who feels it knows it? How do you feel about the way the Jamaican government is dealing with crime in Jamaica: Declaring a “state of emergency” in several parishes and really clamping down with the constabulary? Nah Man. First of all, the state of emergency fi gwaan long time. Everybody see wah gwaan long time. It’s [not] until certain pressure apply them start label [it] like that and see wah gwaan. Really and truly, everything you have wah gwaan, wah gwaan right now in where you see, a gwaan, is really the symptoms of f*cking poverty. Seen? So, all them plans and all them things you hear people talk about? None of that sh*t is ever going to work. Why? Because all that is just sweeping the dirt under the rug. The reality of things is that you have to feed the people, educate the people, and then you will liberate the people. Seen? Absolutely. One Jamaican politician recently called for a return of capital punishment in Jamaica, saying, “hang them high.” What’s your reaction to that? Do you have any thoughts about how all these high-powered guns are getting into Jamaica? The people know! Everyone know! Because everything is known. Think about this: If I and I come into the United States of America. Or I go into England. Or I go into Peru. Or I go into Chile. And one moment I cross that border, everyone know. Seen? So what you must realize is we are living in a world where people decide who knows what at what time. In other words, there will come a time when the people dem will know the fullness of everything wah gwaan. But for right now, is only a few select individuals know what port at what time, and is who for x, y, [and] z. Them can’t tell you that. But what you must know is that we live in a real world where everything is real. So just like the shoes pon your feet, it’s real. And you woke up this morning, and you put that shoe on your fuc*ing foot, and that is why it’s on your foot right now! So, it’s the same thing, mi friend. We don’t make guns in Jamaica! No man. It’s [the] same struggle, different time, you know? But Bob and them definitely push it forward. And we a push it forward. But a whole heap struggle in the same way and the people still feel it right through. You know what I mean? Because mi life, we’ve taken objects, and missions, and obstacles, that might seem to be bigger than we. And we always cut them down to size. Yeah man. We definitely [are] also going to show them that there is a different road. ‘Cause we know what we’re about. And we don’t have to chase anything! Because everything is going to come right in our lap. Mark I and I word. You couldn’t sing in the choir? No man. I knew all the songs on Sunday. ‘Cause mi go [to] choir practice [on] Thursday[s]. 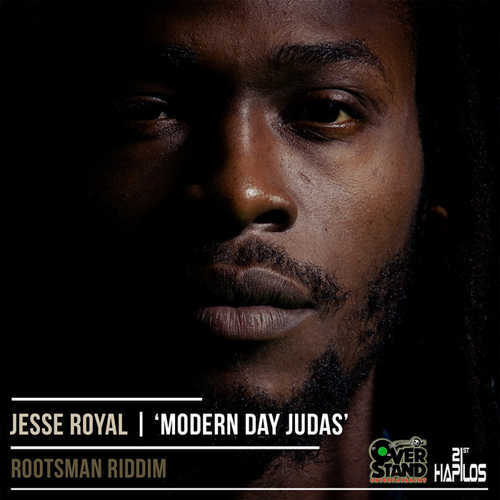 But Jesse, how did you become a Rasta despite being raised in the Baptist church? Hear we now: you see Jah, Jah say one a go rise up in every family, you know. A go dread and terrible. Him a go and rise one up out of every family. I and I happened to be that one – that see the light. And I and I come see where we reach a fullness of helping other people to evolve in I and I family. I remember my mother, growing up, we couldn’t have certain conversations. And mi live to see the day where mi and my mother can have certain conversations… in an air of openness… that was not the reality [at] one time, you know? I read that your mother passed away last year. I was very sorry to hear that. Condolences. I felt for you because I know you are going through so much with the release of your new album, you have a very young daughter, and then your mom passed away. So even though you have a lot of good things happening, you have a lot [to] struggle [with] too. It was a whole heap fi deal with, you know? But, Jah never really give no one more than he can bear. Did your mom get to see the release of your album? I am so sorry to hear that. But I’m sure she’s probably dancing to it wherever she is now. Yeah man, mi sure about that. Mi sure about that. Was there any strife though when you said you were able to finally have conversations with your mom that you couldn’t have when you were younger? So, when you were growing up, and you wanted to be a Rasta, was there some strife in the family about that? Not really strife inna the family because me go through enough war in terms of just [being a] young youth smoking herb. What happened is, we did grow close around certain things and certain vibrations. So, my mother, knowing her, she knew it was inevitable, in a certain sense, you know? But, at no point in time we really loose our roots. ‘Cause we could reason Christ come fi teach with consciousness. Not to kneel and fuc*ing bow. So we reach [a] stage where everything [was] alright, you know? Mostly because of songs like “Roll Me Something” and “Finally” [on the new album], I want to ask: When you were growing up, did you have any problems with the constables/police in Jamaica? Yeah man. As a youth, a whole heap of run-ins with officers over marijuana or whatever. Because you don’t know. Yeah man, things [can be] rough inna Jamaica. And as you were singing about up on stage [in the song “Finally”], has that situation really improved? Yeah man, it improve [a] likkle. Less harassment of the Rastas then? Yeah man. Definitely less. Definitely a lot less harassment. You know, there is some elders who go through some wicked tribulations that I and I can’t even talk about. But it’s definitely less. I read that you grew up in the hills of Maroon Town in St. James before moving to join your father in Kingston. How old were you when you moved? And, why did you move? We move in ‘97, ‘98. I and I was like 8 years old. My father did get a job in Kingston. My father was in the army. My father is a Lieutenant in the Jamaica Defence Force. We move [to] Kingston, so he could do some work. And the whole family did follow after[wards]. – could you see yourself getting into the marijuana business, either in Jamaica, or here, in the U.S.? Or both? Yeah man. Very soon we have some friends. Some associates. We’ve been doing some research. Exploring some options. So, definitely some things [about this] will be coming [out in the media] in the future. Now “Lily of da Valley” has overwhelmingly received very positive reviews. I personally think it’s a fantastic album. And it’s done very well in the charts and rankings. The album was released just shy of the deadline to be considered for a Grammy award. Are you hopeful that it’ll be nominated for Best Reggae Album this year? Yeah, that’s the hope you know? [I and I] [h]ope Jah will see us through. 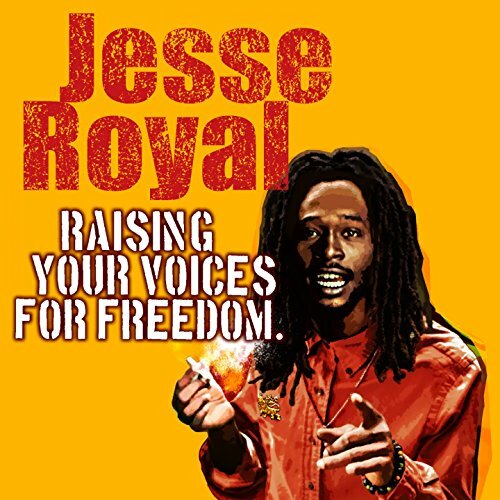 – and Joe Mersa Marley is featured on [your song] “Generations.” And so, understandably, you have a close relationship with the Marleys. Therefore, I understand why it may be hard for you to answer this next question. But, there was a recent article written by Sonja Stanley Niahh, she is the head of the Institute of Caribbean Studies, in Mona, Jamaica. She published an article in Pop Matters called, “Do the Marleys Have an Unfair Advantage at the Grammys?” In the article, she wrote: Among Jamaicans, “it was generally felt that if a Marley was in the running [for a Grammy] they were pretty much guaranteed to win, whether their album was ‘savage, average, or garbage.’” How do you respond to that? The way I respond to that is, there has never been an “average Marley album.” There has never been [a Marley] album that is not superb. And on the highest level of reggae music. Uncle Steve, Uncle Ziggy, Uncle D[amian], Uncle Julian, everyone makes superb music. So you can’t really knock that – the work that is done where the [Marley] brand is concerned. I don’t have no time fi “blast” no one. Seen? And everyone is entitled to their own opinion also. If anyone want to blast, them blast, seen? But I and I have no reason fi blast. All we can do is learn from that. In a time like this, you are going to have a Royal family too. And you are going to have a Chronixx family. And you’re going to have a Protoje family. And hope down the line that people can complain, you understand? So then you’ll have four of us, and not just the Marleys. So, all in its time? They — the Marleys — earned it? (Rolling eyes) What [are] you talking about, man? Yeah, you know. You can’t knock the work. Where [the Marleys] work is concerned, it is on the highest level of music. One of the songs on your new album I really love is “Always Be Around.” It was one of the first singles you dropped from the album last summer. You have said the song concerns your own personal life – and your woman – once you found out you were going to have a baby. Is that right? It’s a very touching and deep song, especially the refrain, “let’s go do that ultrasound, turn that frown upside down.” Now, with that song, “Always Be Around,” despite the fact that it concerns your own personal situation, were you also trying, even if only a little, to urge a greater responsibility from young men in Jamaica, and everywhere, to support their women and children? Definitely man. It’s not urging them. It’s urging, yes, but it’s [also] paying homage because there’s enough youths who do stick around. And some youths who even if they can’t be around, them still trying dem best. Every situation [is] different, but you have a whole heap of youths out there too who genuinely care about their seed. Yeah man. Dem and their partner may not get along. But the seed are dem seed. You know what I mean? Yeah man, “Always Be Around.” Mi will always be around for that little ball of sunshine. There’s one specific lyric in that song where you sing, “everything is sealed like Drewski baked goods.” That sounds very Jamaica-specific. Can you explain to your fans, what does that mean? Yeah, well Drewski is my brethren inna Jamaica who will always have the highest of grades [of marijuana]. And he makes some of the best edibles in Jamaica. 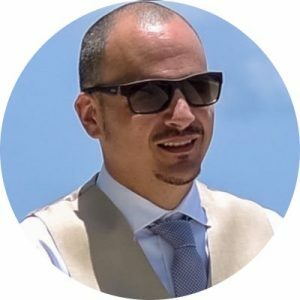 I need to hook up with Drewski next time I am in Jamaica! No problem. He’s the man in Jamaica. 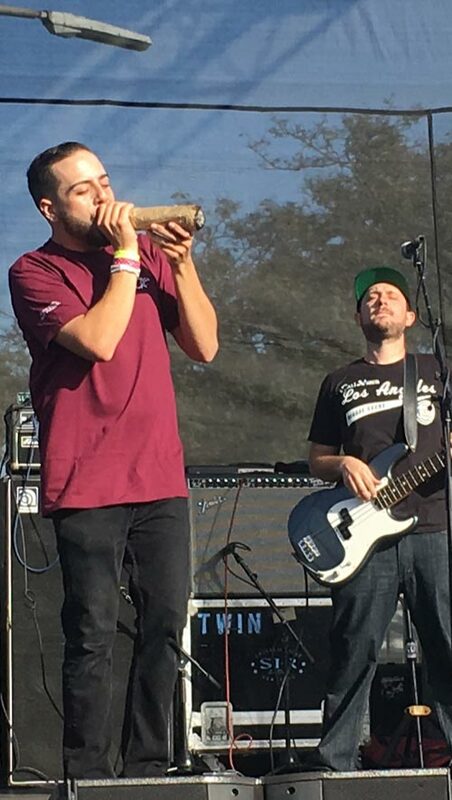 Jesse, in addition to touring and promoting the new album, are there any new collaborations, or new music you’re working on now that you want to announce? We’re doing some cooking (laughing). NextSpiritual calls on “Children of the Revolution”. Great Read. 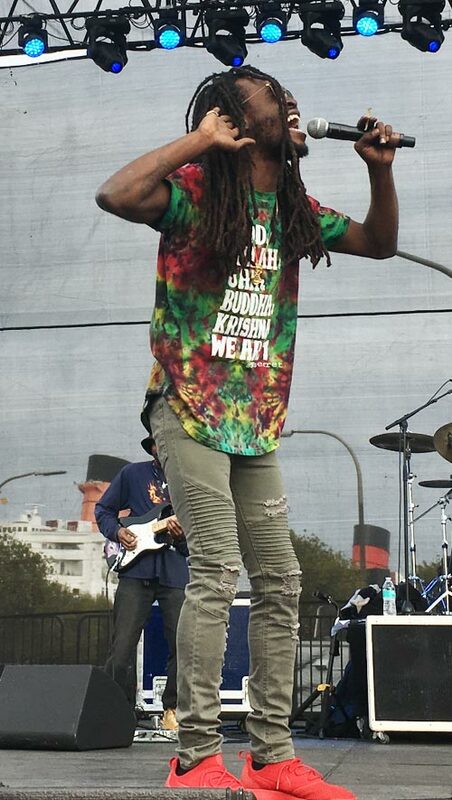 When Jesse Royal performed at the Dub Club it was one of the best shows I’ve seen there.